Potatoes have the dual characteristics of food and vegetables and are rare in agricultural products. The reason why potato can become a world-wide health food is not only that it is widely used in the world, but also widely used in the food industry. More importantly, it has high nutritional value, good health care function, and processed food is favored by people. It is processed into a snack food that young people like through the potato chip making machine. The nutrition of the potato is very rich. According to the analysis, there is protein in every 100g fresh potato. 5 - 2. 3g, carbohydrates 10. 5 - 28g, fat 0. 4 - 0. 94g, crude fiber 0. 4 - 1. 5g, calcium 11 - 60mg, phosphorus 15 - 68mg, zinc 17. 4mg, iron 0. 4 - 4. 8mg, thiamine 0. 03 - 0. 17mg, nucleotide 0. 03 -0. 11g, nicotine 0. 4 - 1. 1g, VB1 0. 10mg, VB20.03mg, VC8 - 40mg and quite a lot of glycosides, vitamins and so on. The dry matter of potato accounts for 50% - 80% of starch, mainly amylopectin, has excellent gelatinization characteristics, and is easy to be absorbed by the human body. The protein globulin accounts for 2 / 3, which is a full-price protein, which is essential for human body. Eight amino acids that cannot be synthesized, with higher levels of lysine (9.3 mg/100 g) and tryptophan (3.2 mg/100 g), which are the limiting amino acids in the grain. Potato is a low-fat, low-calorie food that has less calories than grains and beans. The soluble sugars in potato carbohydrates are mainly glucose, fructose, and sucrose, and also contain a small amount of organic acids. Compared with the average value of cabbage, radish, loofah, pumpkin, lettuce and leeks, the protein, fat and carbohydrate are much higher than those of potato. VC and VA are unmatched by other vegetables and wheat and rice. The nutrient content of the potato is compared with the average value of the nutrients of grapes, apples, pears and apricots. Except for fat, crude fiber, and VA lower than them, the other ingredients far exceed them, especially the content of VC is Seven times as many as these four fruits. The vitamin C contained is ten times that of apples, and the B vitamins are four times that of apples. The various minerals are several times to several tens of times that of apples, and they have a good satiety after eating. Potatoes not only have high nutritional value, but also have a certain health care effect. It provides the body with a sticky protein. The mucoprotein is a mixture of polysaccharide proteins that prevents fat deposition in the cardiovascular system, maintains the elasticity of arterial blood vessels, prevents premature atherosclerosis, and prevents the atrophy of connective tissue in the liver and kidney, and maintains the respiratory tract and digestion. The smoothness of the road. The potato also has the effects of strengthening the stomach, strengthening the spleen, strengthening the kidney and strengthening the body, and promoting blood circulation and swelling. It can prevent the treatment of stomach, duodenal ulcer, chronic gastritis, weak stomach, back pain, and constipation. Eating more potatoes can prevent stomatitis and prevent scurvy and colon cancer. It also has good therapeutic effects on kidney disease and high blood pressure, as well as improving the memory of the human brain. Because potatoes are rich in nutrients and various health functions, both the developed and developing countries attach great importance to the production, processing and research of potatoes. The international potato processing industry is developing very rapidly. It is roughly divided into two types: one is mainly to develop starch derivatives based on large-scale potato starch production, such as Poland, the Czech Republic and many other Eastern European countries; the other is mainly development. 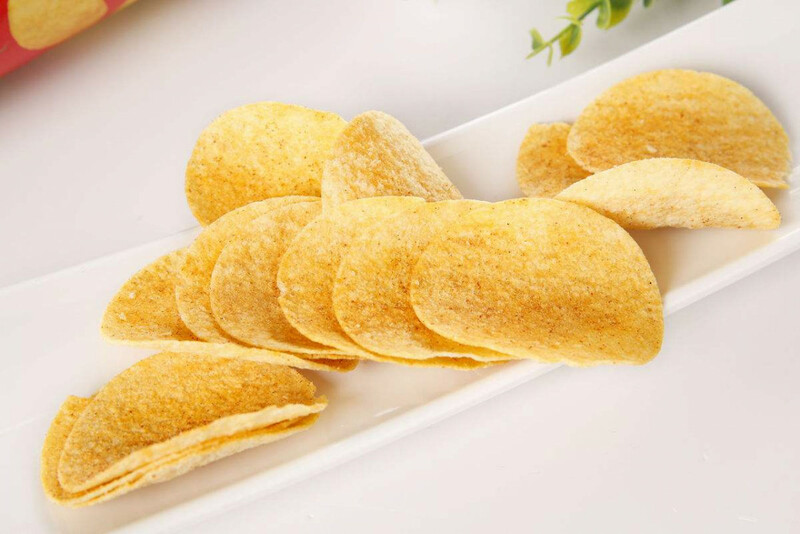 Fast food and convenience foods such as French fries, potato chips, whole flour and various kinds of compound potato chips, such as many potato processing enterprises in Western European countries such as the United States, the Netherlands and Germany.